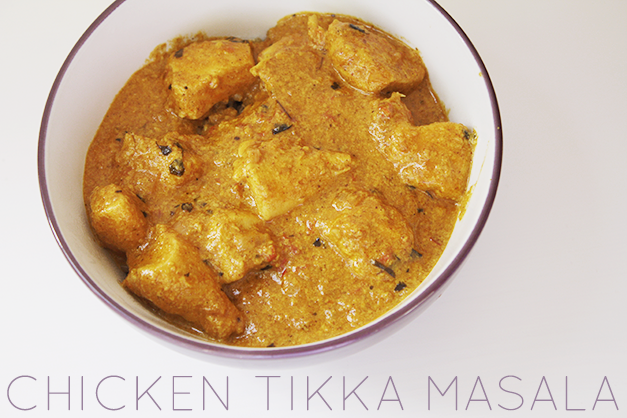 Pursuit of Felicity: Chicken Tikka Masala Recipe. Unlike most of the recipes I post this one isn't particularly quick and easy to put together, but if you read the recipe through a few times beforehand and pre-prepare certain elements, it's really not too difficult at all. 1. In a large metal bowl, combine all the ingredients for the chicken marinade, and leave in the fridge to marinate for at least an hour. 2. Preheat your oven to 200°C. Place chicken and yoghurt marinade into a large baking dish, and cook in the oven for 40 minutes. 3. Start preparing your onion and capsicum, and combine all of the powders/spices etc. into a small bowl to prepare for step 6. 4. After about 20 minutes, add a few drops of oil to a (preferably) non-stick frying pan and start frying off your diced onion and capsicum. Once the onions are starting to brown, throw in your cashews and continue to fry for another minute or two. Note: You may want to add your rice to the stove at this point if you're planning on having rice. 5. Move the fried onion/capsicum/cashews to a food processor and blitz into a puree. 6. Using the same frying pan that you used a moment ago, add 1 tbsp of butter, and then once the butter starts to melt you can add all of the powders/spices for the sauce and saute for a couple of minutes. 7. Add the onion/capsicum/cashew puree back into the frying pan, and continue to saute for a few more minutes. 8. Add in the tomato paste and cream, mix well, and continue to cook until the timer goes off on your oven. 9. Add the roasted chicken and all of the remaining marinade into the frying pan, and mix around until the chicken is completely covered in the sauce. 10. Serve with rice or naan, or both! As with most curries, this is one of those meals that tastes amazing the first day but even better the next day, so don't be afraid to make enough for leftovers. This recipe in particular makes enough for 4 generous helpings, but that's only if you can control yourself. Enjoy! 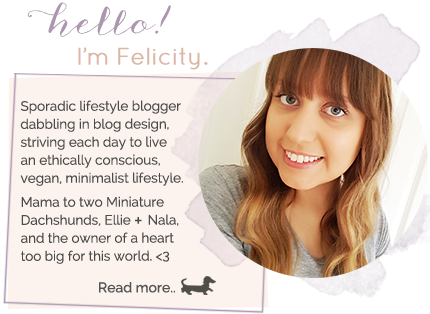 I think your photographs always look great Felicity! :) Great recipes too! Oh my, this looks and sounds delicious!!! I think your photography is great! That does look yummy, you should try making Chicken Korma thats my fave!